Mom, the Intern: We can't call him Smush anymore. We can't call him Smush anymore. I guess Dill's childhood nickname, bestowed upon him by his uncle Kyle, was Buckwheat. We saw Kyle at Grandma's funeral last month and of course, he still calls him Buckwheat. Dill's brother thinks this is hilarious so he has tried to transfer the nickname onto our son. So, I guess I'll concede and call him Buckwheat here. 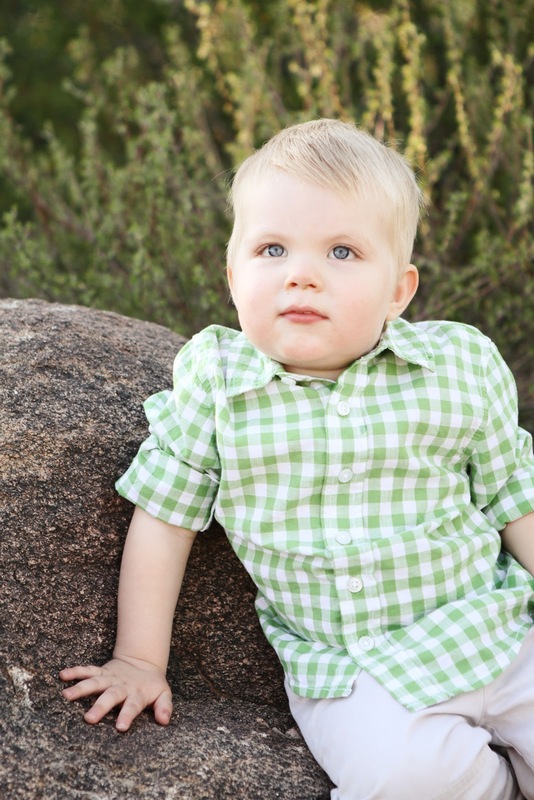 He does resemble Dill when he was about this age. Don't worry -- my sister's arm did not catch fire as she was lighting the candles. But that would have been pretty epic. And yeah, Bubby has red eyes, but too bad. See, my monitor is doing this horrible flickering thing right now and I am honestly developing a headache from it. So I am not going to bother to fix it. TAKE THAT, INTERNET! P.S. I guess I'm getting a new monitor for my birthday ... ? Buckwheat got a ton of great gifts, mostly things with wheels and dinosaurs. Which is awesome, because he loves them. To death. Dill's side aren't really fans of cake, so I made these delicious birthday cake Rice Krispy treats for the second party instead of cake. They were super-easy and yum! 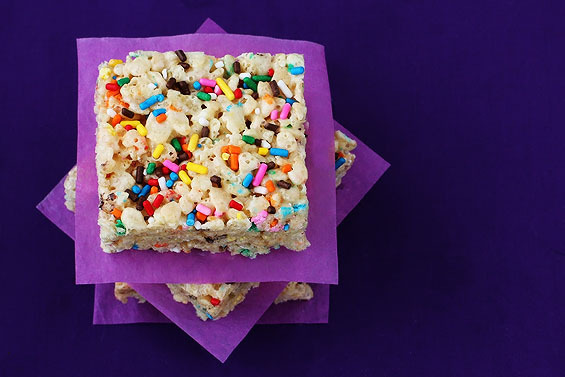 If you like the flavor of cake and the simplicity of Rice Krispy treats, follow the link in the caption for the recipe. Oh yeah! One more thing. I saved the cutest part for last. Enjoy. Doh! I forgot to explain. There are 3 candles because they came in a pack that way. The one in the middle has a 2 on it and the other two are little star candles. From the Dollar Tree, I might as well add. Wait, why were there 3 candles? Cute!! Happy bday to the cutest lil guys ever! 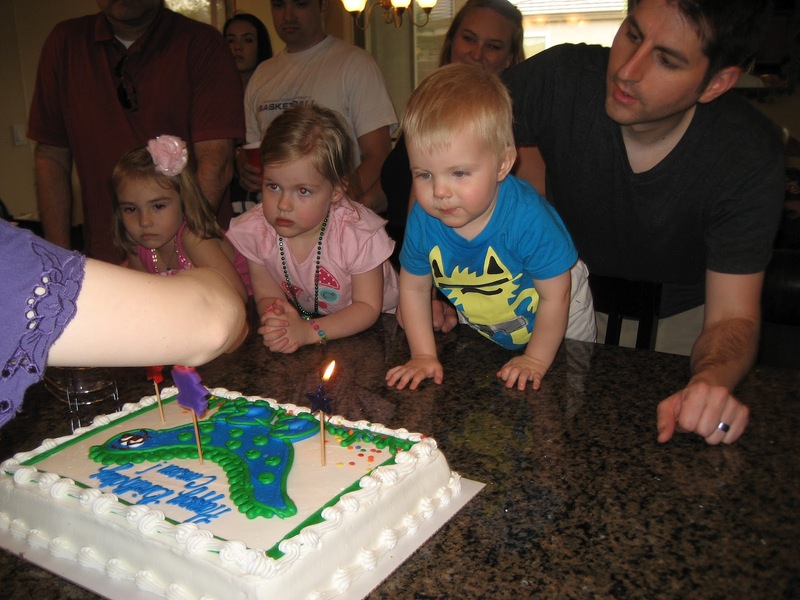 awww what a little cutie pie blowing out those candles, i love how proud he was after! too cute! those rice krispie cakes look super yummy! i'll have to try those out! Adorable! STill following from Sitsgirls! Love your blog. That is adorable! I don't know if Tommy will blow out his candles...but now I want him to since it is so stinkin cute! You could call him Smushwheat!